Burgers are the iconic fast food item. As such, you can pretty much get one anywhere, at any fast food joint. But what if you’re looking not just for any burger, but one of the best burgers? Where do you start? To give you a leg (or a mouth?) up, we’ve compiled a list of the top-ranked burgers in the nation, so you can be a bit more selective in your next burger choice. To say west-coasters love their In-N-Out is an understatement. This California classic burger joint has made waves across the country, and if you ask us, it’s all because of the exclusivity they offer. No matter how much the rest of the US is dying for In-N-Out to branch out to their neck of the woods – it’s not happening. Nope, never. The franchise has been quite candid about how they will remain a west coast gem and a bucket list topper for those who don’t live in the golden state. 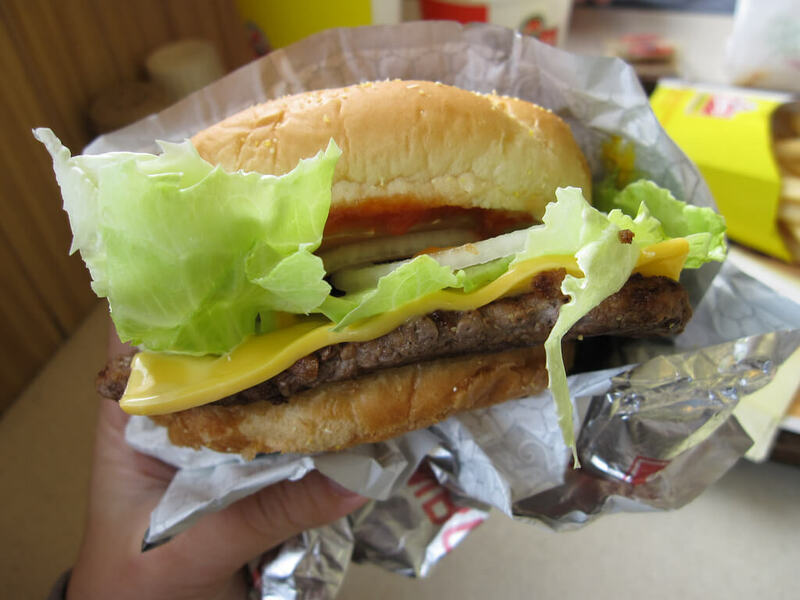 In-N-Out also produces one of the most-beloved burgers in the nation: the Double-Double. 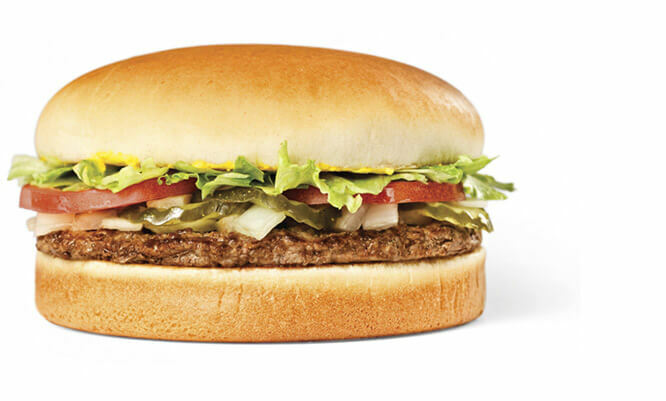 This meaty traditional burger is made with two 100% beef patties and topped with sliced tomato, real cheese, lettuce, onion, and In-N-Out’s signature sauce they refer to as “spread,” which has a thousand-island-like flavor. 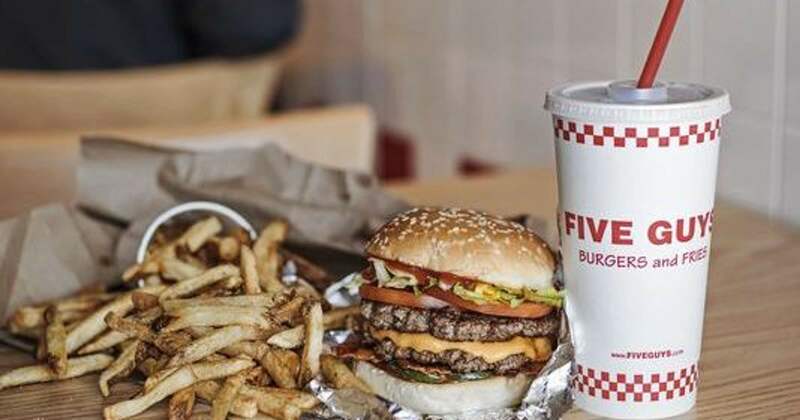 While Five Guys may not offer the same exclusivity as In-N-Out, they have no trouble staying afloat with their 1,500 locations all over the globe. 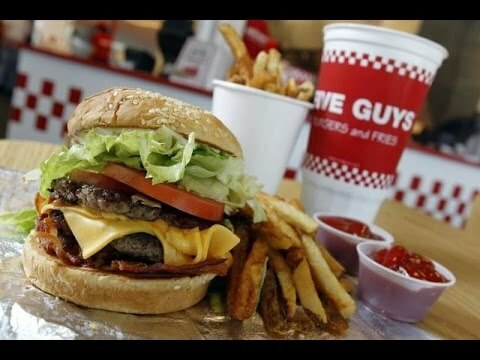 In fact, Five Guys beat the west coast powerhouse as the “America’s Favorite Burger,” for the second year in a row. However, it’s not that the burger joint does anything out of the norm that makes them so special – it’s the fact that they’ve mastered the regular ‘ole hamburger that gets everyone salivating. but Sometimes, keeping it basic and simple is all you need to keep in mind when searching for the “perfect” burger. Five Guys does the hamburger well, made with two fresh beef patties on a toasted bun – you choose the toppings from there. Five Guys wins again with another great burger choice: their Bacon Cheeseburger. Customers rave about this menu item, boasting over the perfectly cooked patty and crispy bacon – two things that are highly critisized when it comes to fast food burgers. In this rendition, not one, but two fresh beef patties are sandwiched between a warm bun, melted cheese, and thick slices of bacon in this meaty mouthful. Wendy’s has withstood time, even through this decade’s In-N-Out craze. And while they may not offer as many Instagram opportunities as the yellow and red cult favorite, they do offer more burgers on their menu than you have fingers. 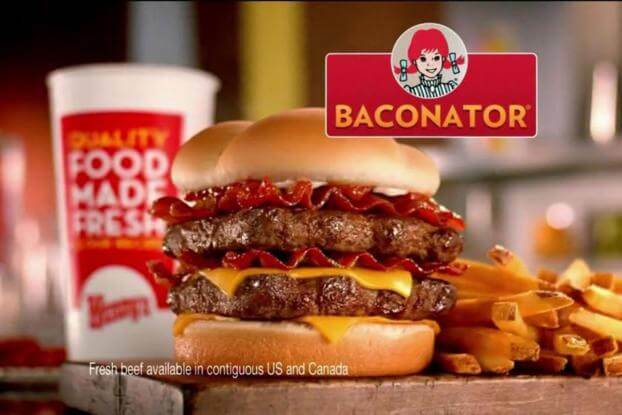 The Baconator, in particular, is a classic option that never seems to dissapoint visitors. Featuring much-loved double beef patties, the Bachonator is layered between melted cheese and plenty of smokey Applewood bacon slices and their signature mayonnaise. The Whopper may not be 37 cents like it was in the 50s, but it’s still the most iconic menu item at Burger King. But don’t be mistaken – the Whopper wasn’t created out of thin air – it’s acutally a copycat burger that was made to compete with other fast food giants back in the day (cough, cough – McDonald’s). We don’t care why or how it was made, though – we’re just glad it was. 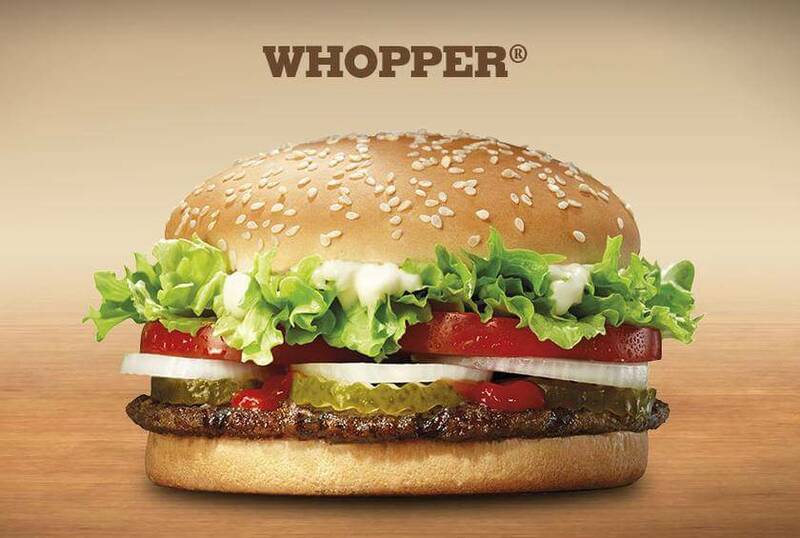 The Whopper we all know and love features ¼ lb of grilled beef topped with sliced tomatoes, fresh lettuce, creamy mayonnaise, ketchup, pickles, and white onions on a sesame seed bun. Whataburger is another burger chain that is a “bucket lister,” for those not blessed with a chain in driving distance. Born in the city of Corpus Christi, Texas, Whataburger has been around since 1959 and – like In-N-Out – is exclusive to a specific area of the US. You can find the majority of locations in the south and southwest parts of the country, so if you’re ever roadtripping to the beach, we highly recommend taking a pitstop to a Whataburger on your way. Their original burger is still voted the best. It features a grilled, 100% American beef patty topped with mustard, lettuce, tomatoes, pickles, and diced onions on a toasted bun. 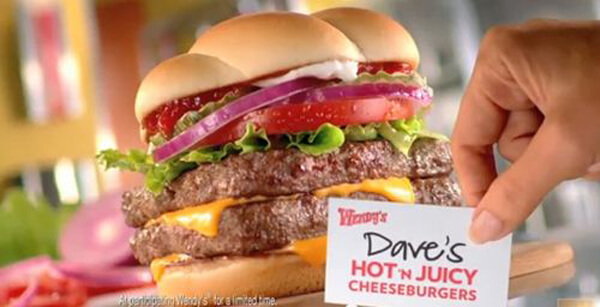 Outside of the Frosty and the hilarious Twitter account, Wendy’s is also famous for their burgers, namely the Dave’s Single. So, who’s Dave? We’re glad you asked. Dave is the one you might recognize in photos with the white hair and inviting smile – no, not Santa, but the founder of Wendy’s himself! In honor of his legacy, the franchise named a burger after him (as well as entire foundation, but minor detail). This Wendy’s burger features a fresh 1/4 lb beef patty layered with cheese, lettuce, onion, and ketchup between a soft bun. Classic, delicious, and cheap – just how we like ’em. 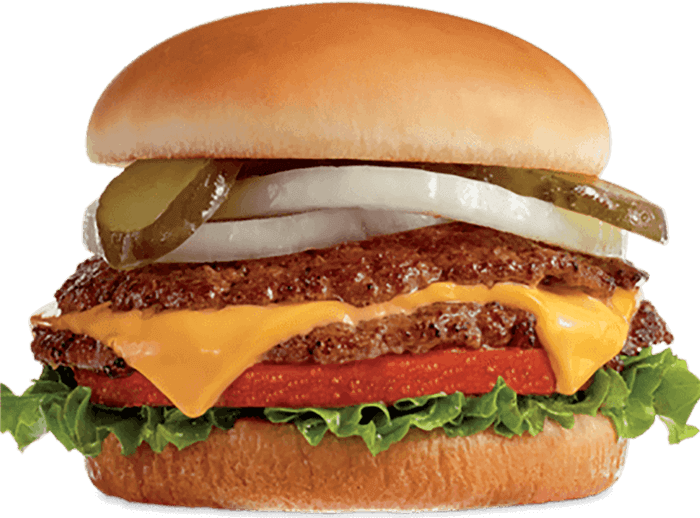 Over the years, Steak n Shake has lost its momentum in comparison to newer and trendier burger joints, but one thing’s for sure – they still master the art of the double cheeseburger. Labeled their “most popular steakburger,” the Double n’ Cheese features two freshly grilled steakburgers topped with American cheese sitting between a toasted bun. Layer up the toppings as you wish! From the McLobster to the Hula Burger, McDonald’s has been around the block when it comes to new (and just plain bizarre) menu items. But one thing that’s always been the same? The Big Mac. Rival to Burger King’s Whopper, the Big Mac is one of McDonald’s most widely-recognized menu items. It’s synonymous with a stomachache and heartburn, but there’s nothing more satisfying than stuffing your face with a burger this big after a long, hard day. 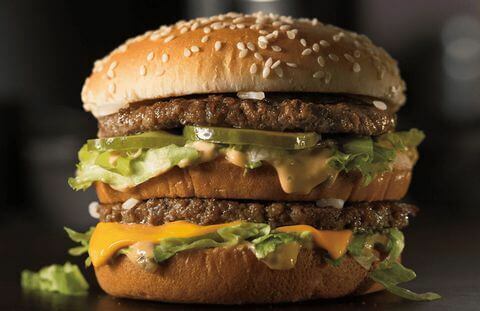 The Big Mac contains two 100% beef patties sandwiched between a sesame seed bun, and topped with pickles, crisp lettuce, onions, and American cheese. What makes this burger so different from the rest is it’s “secret” Big Mac® sauce. The west coast proudly claims In-N-Out, but the midwest is home to something just as adored – Culver’s. Born in Sauk City, Wisconsin, Culver’s was built on small town values – family, hard work, and hospitality. And it shows. At each location, Culver’s employees hand you a number and walk your order right out to your car, rain or shine. 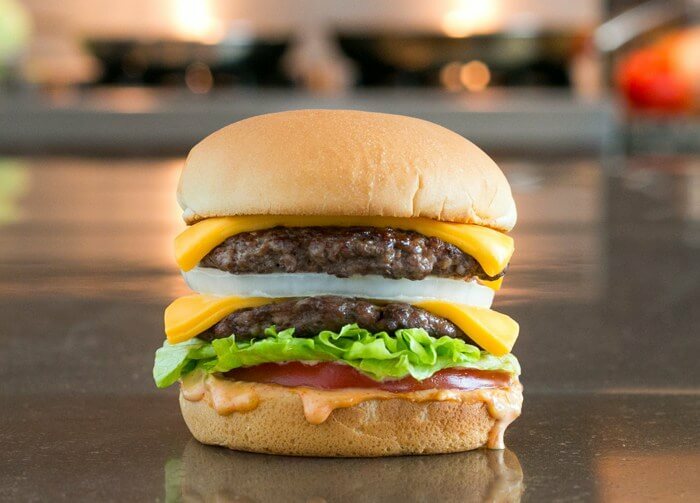 One of the best burger in the industry and the most popular order at Culver’s is the Butterburger, named as such due to its lightly-buttered bun. It contains fresh, never frozen, Midwest-raised beef grilled after you order, and Wisconsin cheddar placed between a buttered, toasted bun. Sometimes a Dave’s Single burger is just not enough. We get it. For the days when you don’t want to go hungry, Dave’s Hot n’ Juicy Double hits the spot – and as the name suggests, it doubles up on all the good stuff. It features a thicker beef patty, a toasted and buttered bun, and a twist on traditional ingredients like crinkle-cut pickles and red onions. And for those of you who shame Wendy’s for their shrinking burger sizes (so, most of us? ), you’ll be glad to experience this ultimate repemption. 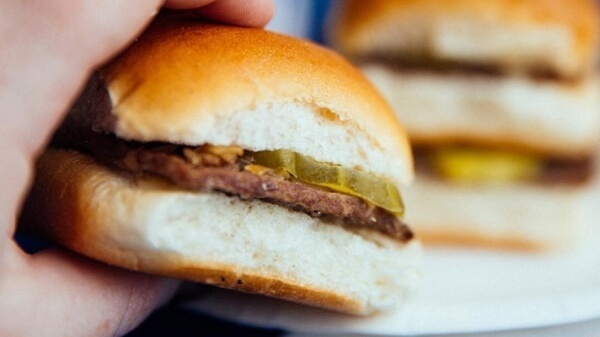 When you think White Castle, you might think of a stomach ache. For a while, that was the reputation for the mini burger joint, but over the years, they’ve come a long way. In fact, their vegan burger (yes, you read that right) made quite the splash in the fast food industry this year. The Impossible Burger, as they’ve coined it, was named one of America’s Best Fast Food Burgers. This plant-based burger has even been added to the menu of other high-profile restaurants, so we think it’s safe to say White Castle is turning a new leaf for vegans and meat-eaters, alike. Fuddrucker’s has a self-proclaimed title of “The World’s Greatest Hamburgers,” but do they really measure up to this bold claim? The consesus is yes. 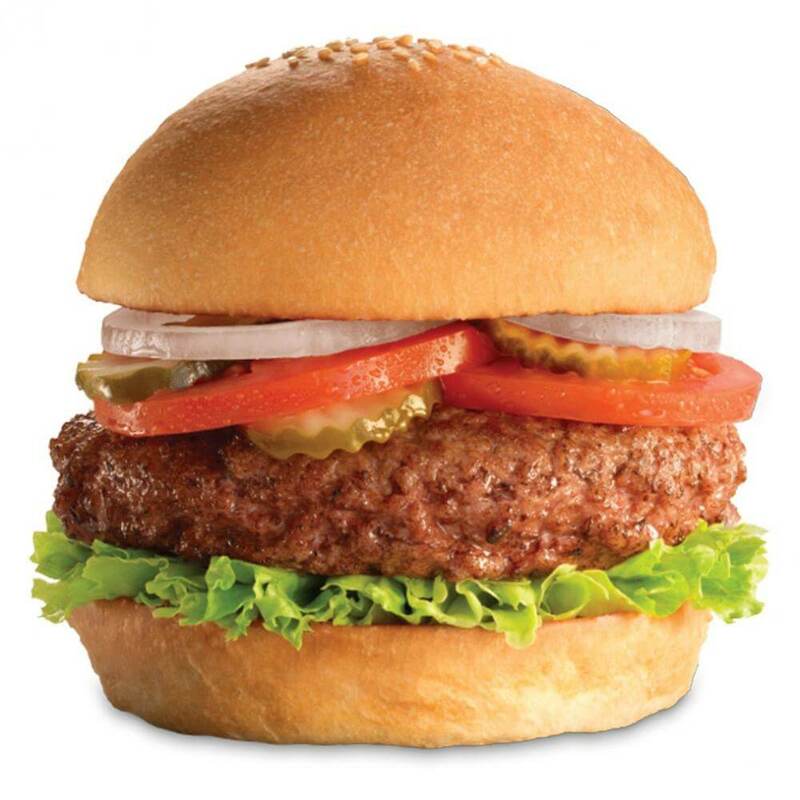 Fuddrucker’s The Original Fudds is made with grilled-to-order 100% beef, layered with your choice of topping and an in-house baked bun. Customers love how the burgers are made-to-order, so you don’t have to worry yours was sitting under a heating lamp all day. In-N-Out closes our list with this chart-topping burger. 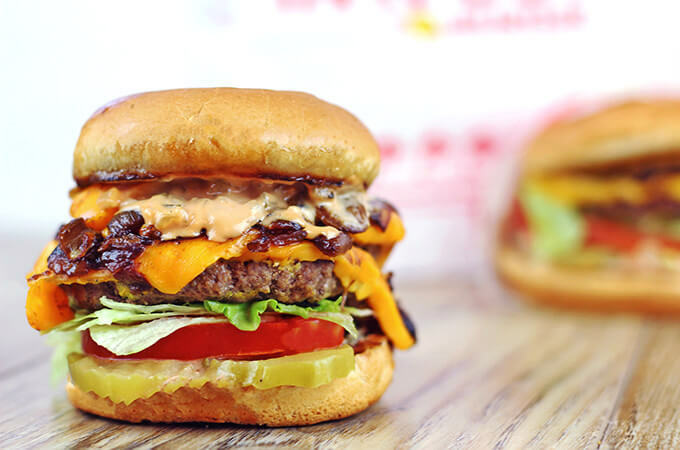 The In-N-Out Animal Style Burger features the same fan-favorite beef and toppings of its original burgers; however, what makes it an “animal” is the extra Thousand-Island spread. If you don’t read the nutrition information, eating one of these is pure bliss. We hope to have narrowed down your choices for choosing the best fast food burger in your area, or while you’re on the road. After all, nothing says “amazing burger” like actual votes from actual fast-food lovers. Oh, and if you’ve got a burger, you’ll definitely need one of these to-die-for milkshakes. ← The Battle of Bowls: Are You Team Waba Grill or Team Flame Broiler?